For many people, the cold, wintry days throughout the holiday season bring more than rosy cheeks and cheer – they bring itchy, dry, cracked skin. As our busy days go from warm heated homes to blasting winter winds, it’s easy for the skin and body to become unbalanced, which reflects in your outward appearance. Aside from the general unpleasant feeling from dry skin, it can also cause ongoing skin problems if not properly moisturized. Luckily, although it feels like all the water or lotion in the world won’t quench your skin, there are products out their designed specifically to get you through the winter months. 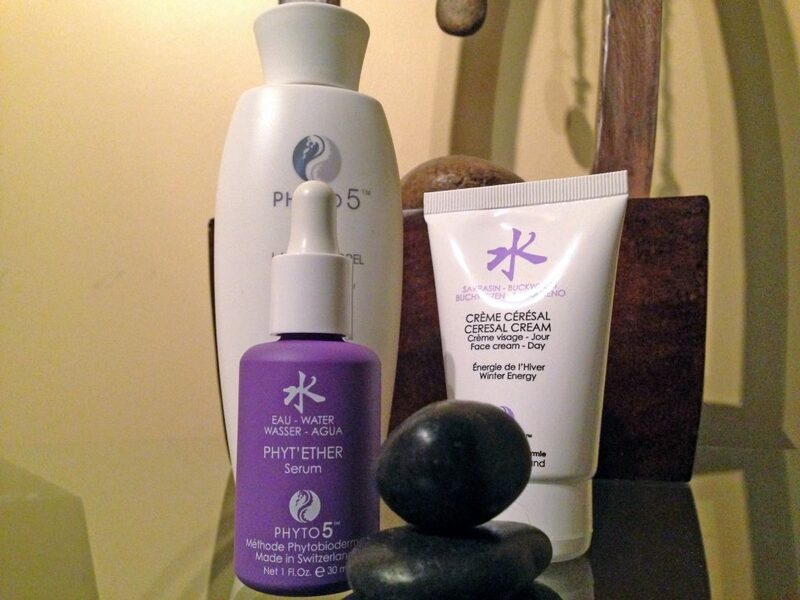 PHYTO 5® Phyto-Energeticâ skincare is an exclusive European based line customized to restore balance throughout each energetic season. The Water Line, which is made energetic from proprietary blends of high grade essential oils, are designed for the esthetic conditions related to Water: skin lacking tone, dehydration, wrinkles, and to balance water circulation. Customized for each individual skin condition, the Water line is best used to balance skin during the energetic winter: November 8th – January 17th. Day Cream: Ceresal Water/Buckwheat – For hydrating and energetic protection with antioxidant properties. Water Phyt’ether Serum – A potent serum with Water balancing essential oils. Both of these products are perfect for helping beat dry skin during the winter months, offer deep hydration for skin, and are made up of all natural key ingredients like: avocado oil, ginkgo extract, buckwheat extract, wheat extract, juniper berry, sage, thyme, rosemary essential oils, Vitamin E, copper, soy, and eucalyptus. Weiler Academy is an exclusive distributor of PHYTO 5 products in the US. The energetic products in these lines have been tested with specialized equipment to measure vital energy before and after product application. Their vital-energy-balancing properties are well proven in practice as well. Stop by Weiler Academy today to test or pick up your own water products to heal your winter skin.